We offer original style Top made with factory style Lt. Green Tint Plastic window & Non original style Top made with Heated-Defroster Glass window. Both styls come with Factory Zipper around rear window zips to OEM Headliner. Tops fits both Left & Right hand drive models. 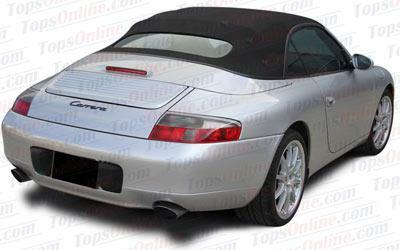 This convertible top for the Porsche 911 / 996 Carrera & Carrera 4 Cabriolet fits the 1999, 2000 and 2001 model years. Factory Convertible Top material is the A5 German Sonnenland Cloth. We also offer Haartz Stayfast Cloth, Haartz Twillfast Cloth & Sunfast Twill Cloth as a less expensive alternative. Sunfast Twill Cloth is exclusive material for Xtreme brand, heavy weight solution dyed Polyester Twill weave outer fabric laminated to a 100% Black Polyester backing. Made as original with Lt. Green tint Plastic window, stitch less French deck seams, and original style side Tension Cables sewn on the Top. Made with Original Porsche Zipper around rear window to Zip Original Headliner. Other colors can be ordered, please inquire. Convertible Top with Non-original low profile Heated glass, Original style stitch less French deck seams and side Tension Cables. Wiring kit for Heated Glass window is included with the Tops. Other colors can be ordered, please inquire. Important Robbins Brand Convertible Top Information: Top is made with Zipper panel around the rear window matching dimensions of old plastic window and Zips to original Headliner. Click on Yellow box below to see picture of Robbins Top Zipper Panel picture. Important Topsonline Brand Convertible Top Information: New Headliner included with the Top, new Headliner made with smaller rear window dimensions to match the Glass window dimensions. 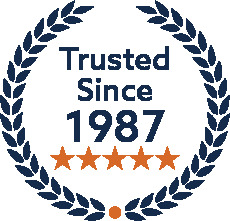 Warranty Info: For this model, Robbins & Topsonline brands come with 6-year warranty for the Top & Lifetime Glass Window Bond warranty to the original purchaser, and includes (18) months labor allowance from purchase date. You can read detailed warranty information on our warranty page. Headliner made with original Black Anthracite cloth material. Must re-use original front plastic retainer from existing factory Headliner. Made with original Porsche Zipper, it Zips to factory and our Tops. You can re-use your existing Headliner if it's in good shape.